The new Dell Inspiron 14-3442 Dual Core is a line of budget 14-inch HD display laptops pre-installed with Windows 8.1 operating system on 4th generation Intel Core processors. Although it is an entry level Windows laptop from Dell but its build quality is good along with the chiclet type keyboard with spaced keys. It is a great laptop for students, homes, and offices. Dell Inspiron 14-3442 offers 4GB – 8GB of RAM, 500GB HDD, and HDMI. The Inspiron 14-3442 has a lightweight, leek and stylish design that delivers compact productivity when you’re on the run. The Inspiron is built for the long haul with a spill resistant keyboard, heavy duty hinges and durable components. Sporting a well-built chassis made of brushed aluminium alloy, the Inspiron 14-3442 is an elegant, premium notebook for professionals. It shows off an attractively designed body with a soft matte finish at a thickness of just about 24.6millimetres. The laptop is not quite bulky, with its weight starting at approximately 2.02 kg. Dell says the laptop has been tested for reliability not just in the places where you expect it, but for the open road ahead. Turn up the heat, from locker rooms to locked cars, we test Inspiron laptops for survival in harsh short-term heat conditions of up to 65°C/149°F. Dell Inspiron 14-3442 offers a 14inch LED backlit display with an optional touch feature for a more enjoyable use through swiping and scrolling. It comes with a full HD 1366 x 768 pixels resolution with anti-glare quality. More ways to enjoy HD clarity with your 35.5cm, 14 display comes to life with brilliant HD resolution. Crisp details and resounding colors shine through as you interact with games, videos and photos. Type, swipe and scroll on your Inspiron 14 with an optional HD Touch feature that makes interacting with your applications fun and easy. With Responsive performance the Inspiron 14 is built with a 4th Gen Intel dual Core processor for plenty of power. Dell Inspiron 14-3442 offers 4th Gen Intel Core i5 or Core i3 Processor or Intel Celeron, Pentium Processor with a few models offering Intel Celeron or Pentium processors. Graphics is handled by Intel HD Graphics 4600 or NVIDIA GeForce 820M 2GB GDDR5. The laptop runs on different varieties of Windows 8.1 operating system, with standard system memory size is 4 GB. If you are hungry for better performance, there are discrete graphics options with up to 2GB graphics memory. From surfing the web to watching videos, take on each task with confidence. Available discrete graphics options of up to 2GB allow you to complete more intensive tasks without sacrificing performance. Burn your favorite playlist, watch movies and load software with a built-in optical drive. Or you can transfer high volumes of data from your hard drive to DVDs for easy file archiving. Dell Inspiron 14-3442 comes with a decent 4-cell, 40 WHr HP Long Life, Li-Po Battery that is capable of handling just a little over 4 hours of use when it is fully charged. Networking and connectivity options available on the Dell Inspiron 14-3442 include USB ports (2.0 & 3.0), Bluetooth 4.0, single-band and single-stream 802.11 b/g/n, thanks to Wi-Fi CERTIFIED WLAN that helps keeps you connected. It also comes with HDMI, VGA, and 10/100 Mbps Ethernet. There is also a di3il media card reader. The Dell Inspiron 14-3442 Notebooks are available in Nigeria, you can buy them at leading online stores in the country. Dell Inspiron 14-3442 price in Nigeria starts at around N93,000, depending on your location and the configuration of the laptop. The Dell Inspiron 14-3442 Notebooks are available in Nigeria, you can buy them at leading online stores in the country. 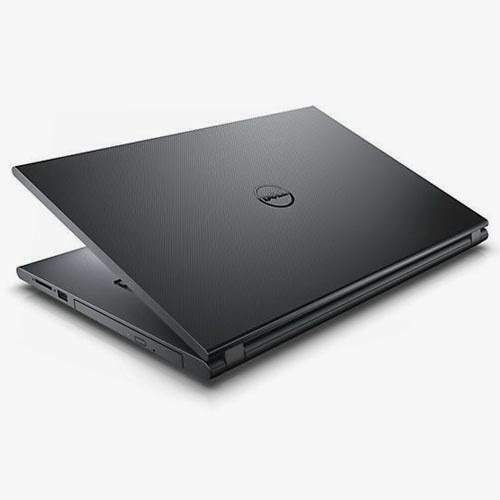 Dell Inspiron 14-3442 price in Nigeria starts at around N93,000, depending on your location and the configuration of the laptop.Join us on Facebook or Twitter now to get first hand updates from us !! !